If your company is facing business liquidation, you may be in a panic. If your company is facing business liquidation, you may be in a panic. There are different terms used and you may have no idea how it affects your business. The best thing to do is hire an insolvency practitioner to explain the situation and help find the best way to handle it - you may be able to start trading again in the future, if you act quickly enough. They each mean something different for your company and require different steps. A MVL is an option when a business is still solvent. Insolvency Practitioners will be able to offer advice when and not this is the case as the legal definition of being solvent is questionable. Most of the time, a company is deemed solvent if it can pay off all the debts owed within 12 months. There needs to be a list of all the assets that will be used to pay the debts and it has to be processed through an insolvency practitioner. This is a more straightforward process compared to the other two options. It means that it is quicker and easier to handle so you can get back to running your company sooner. This is often just shortened to a voluntary liquidation and is used when a company is no longer solvent - it cannot pay the debts within the next 12 months. It is bankrupt and must cease trading immediately. The assets will be sold to clear as much of the debt as possible and the business will close down. This is much quicker than a compulsory liquidation. When a business owes £750 or more to a creditor and it has not been paid within 21 days, the creditor can send a winding up petition to force liquidation. This is an extremely expensive option for the creditor and is usually done by HMRC; but is avoided as much as possible. When a company receives a winding up petition, they can know that the creditor is serious. It is essential to act quickly after receiving this - you will have seven days. 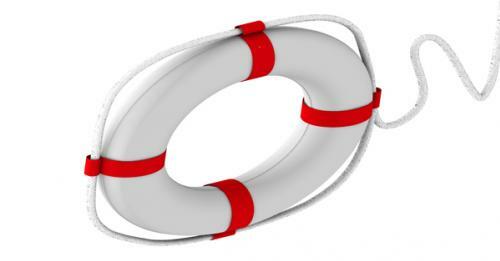 Contact an insolvency practitioner and find out if there is an option to save your business. There are times that tactics can be used to dispute the petition and the debt owed or create an arrangement to save the company, as long as it is viable. It is important to think about your circumstances as well as your dreams for the company. Business liquidation is a serious matter and is a sign that your business is bankrupt. It is very difficult to come back from some liquidation processes, especially winding up petitions. Talk to an insolvency practitioner to make sure you do the best for your business and act legally. This avoids having to personally pay the debt and risk prosecution for fraud.